When you’re in the mood for steak, what’s your go-to? Do you find it hard to resist a tender, juicy New York strip or do you stick to a classic sirloin? Even though there are many different steak cuts out there, they all have a unique taste and texture. That being the case, follow along as we break down the most common steak cuts so you can confidently choose the perfect cut. If you’re not familiar with how steak cuts work, have no fear. The cuts come from different parts of a cow. For example, chuck and brisket come from the front section and round cuts come from the rear. In general, most people prefer meat from the middle section, which includes rib roasts, sirloins, and tenderloins. It’s also important to understand the differences between each cut. That way, you’ll know exactly what to order and which cut of steak you will enjoy the most. Sirloin – Sirloin steak comes from the top of the cow’s back. It has just the right balance of tenderness and flavor. These cuts are often large and don’t have much fat. Strip – This cut comes from the loin. It goes by many names, including Kansas City steak and New York strip. It’s lean and flavorful with distinct marbling and tastes best grilled or sautéed. Rib-eye – Rib-eye steak is located by the shoulder of the cow. You can tell it apart by its marbled appearance and full-flavor taste. Tenderloin – Tenderloin is melt-in-your-mouth tender. And, it’s usually served in a thick, compact shape. Sometimes, it’s called filet mignon or just fillet. Round – This is the everyday chef’s choice for making succulent London broil. T-bone – T-bone is another part of the loin. It has a signature T-shaped mark in the middle. It’s also quite lean. Brisket – Brisket tastes great as corned beef. It’s usually cooked nice and slow to maximize the flavor. Tri-tip steak – Nice and juicy, tri-tip steak is packed with flavor. All steak cuts bring a different dining experience to the table. Depending on how it’s prepared, steak can be classic comfort food or a high-end delight. At Adam’s Grille, we serve all of our steaks chargrilled to perfection. Each piece is hand-selected and cut here on the premises. On the other hand, don’t forget about the sides. Sides have the power to make a steak taste even better. 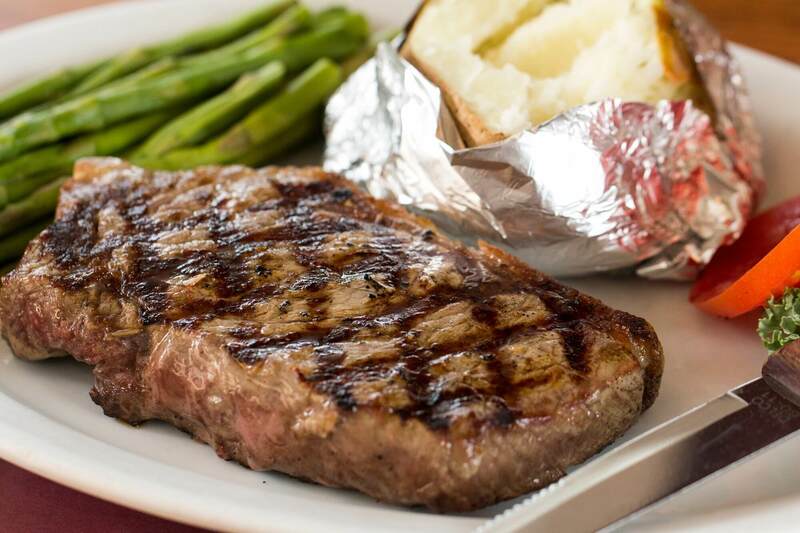 Our steaks come with either a baked potato, French fries or rice and a vegetable. But, keep in mind, shrimp, scallops and side ribs are also available. The next time you’re craving a delicious, home-style meal, come to Adam’s Grille in Prince Frederick. We’ve been serving beef since 1981. And, now that you know all about steak cuts, you’ll be able to hand-select your favorite off the menu and enjoy it that much more.